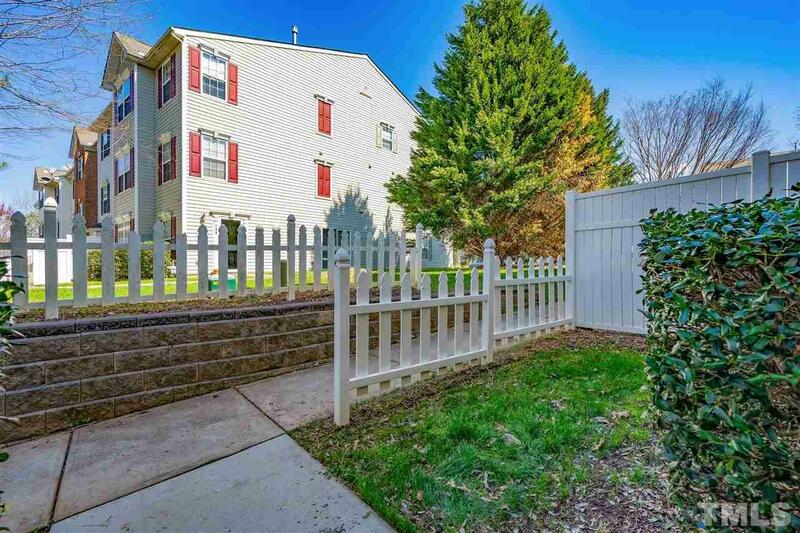 Investment Potential in Desirable Camden Crossings. 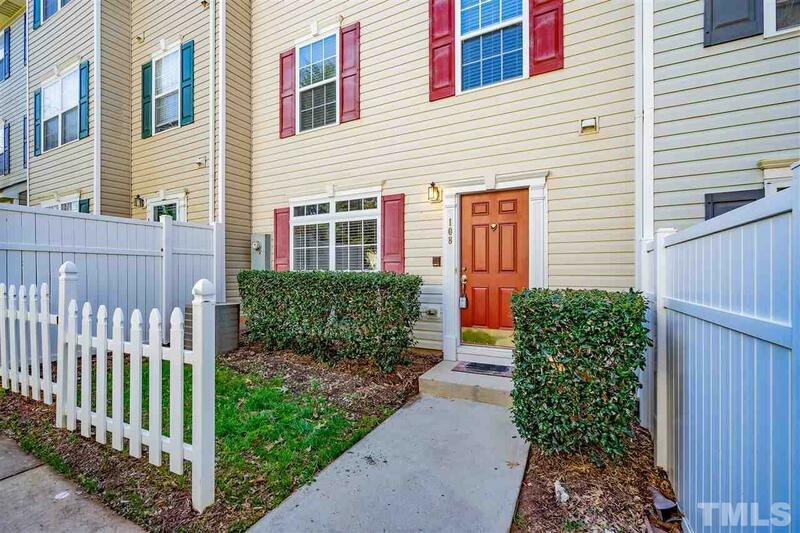 MINUTES to NCSU Centennial Campus, Cary, Downtown Raleigh, Farmers Market, & 1-40. 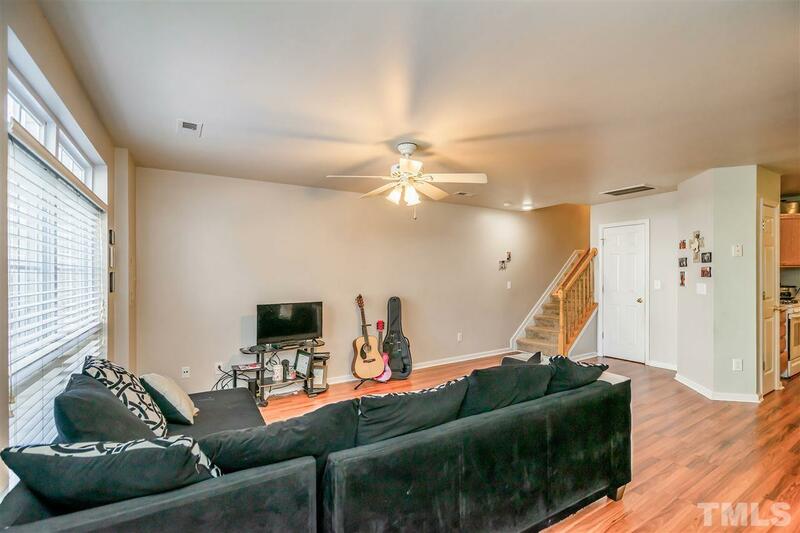 1st Floor OPEN Floor Plan w/ Laminate Flooring. Kitchen has Plenty of Storage Space+Walk In Closet Underneath the Stairs. 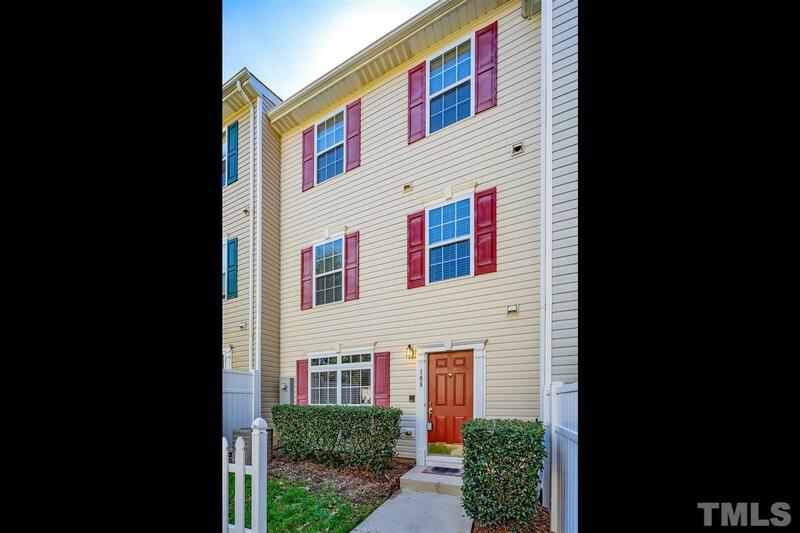 2 bedrooms on 2nd Floor w/full bath+Laundry Room. HUGE 19x16 Master Bedroom on 3rd Floor! Master Bath w/Sep Shower & Tub. Double Vanity Features Sliding Mirrors to Reveal Medicine Cabinet. HOA includes access to community POOL. Don't miss this one!